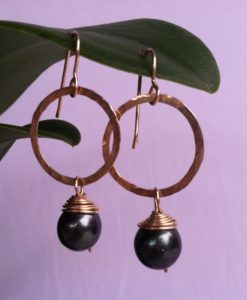 Two lusterous 9 mm hand wrapped Black Pearls dance and sway from these unique 14 Karat Gold Filled hand hammered marquise shapes. 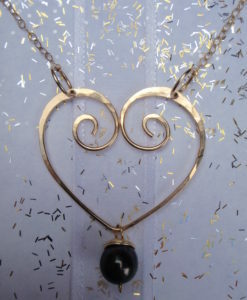 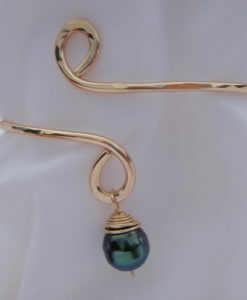 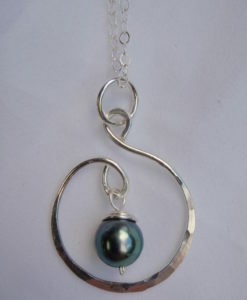 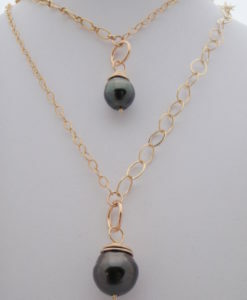 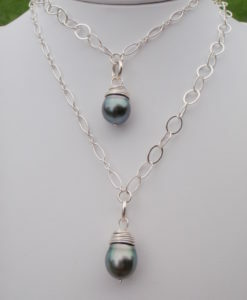 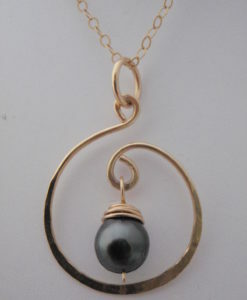 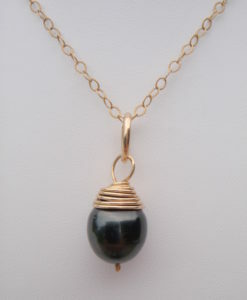 Pairs beautifully with the 54″ Double Black Pear Pearl Necklace in Gold. 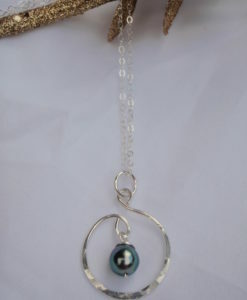 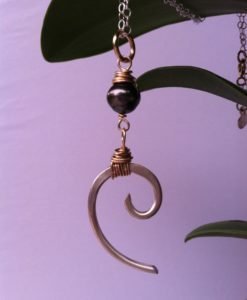 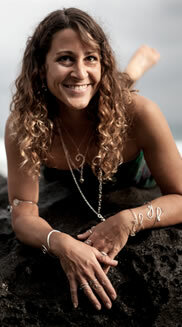 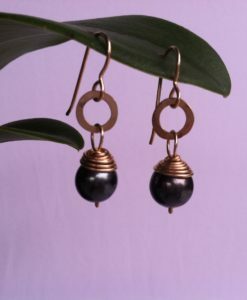 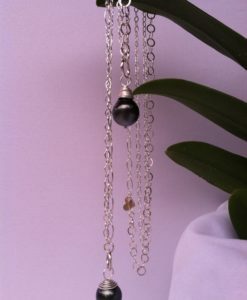 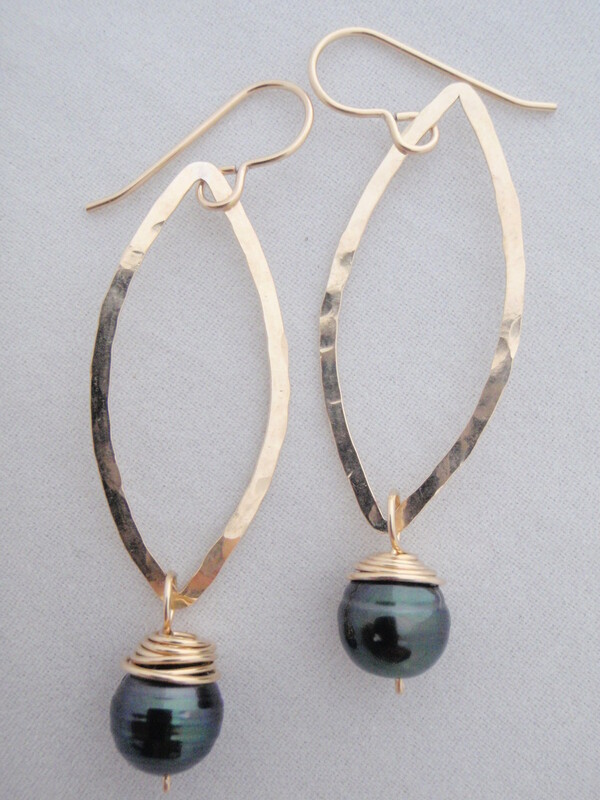 The Marquise and Black Tahitian Pearl Earrings are also beautiful in Silver! 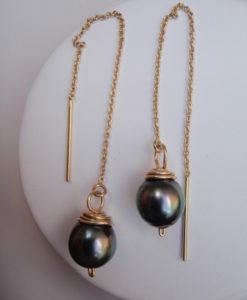 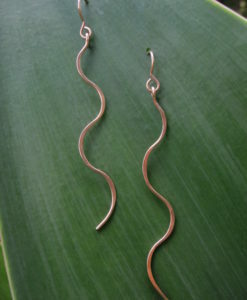 The Gold Marquise and Black Tahitian Pearl Earrings makes an elegant Hawaii gift for yourself or any occasion such as Valentine’s Day, Christmas, Hanukkah, Wedding, Anniversary or Birthday.